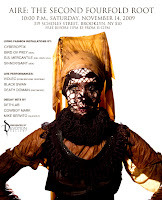 Devotion Gallery presents dark, upcycled Victorian elegance showcased alongside equally august sonic experimentation. Saturday. Williamsburg. 5 Bones. Succumb. RIYL: Dances of Vice, Wierd, Good taste.